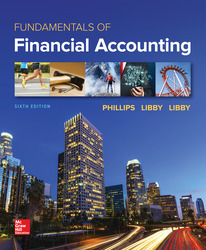 • What’s Covered: Fundamentals of Financial Accounting combines an engaging writing style, entrepreneurial focus, and data-driven pedagogy. • Teaching Approach: Each chapter features real companies whose products and services are relevant to students. The Accounting Cycle chapters follow the same start-up company to better illustrate how entrepreneurs employ financial data throughout their company’s growth. Appendix A: Excerpts from the Fiscal 2016 Annual Report of The Home Depot, Inc. Appendix B: Excerpts from the Fiscal 2016 Annual Report of Lowe's Companies, Inc.